Christchurch – More than 2500 building, construction, architecture and design professionals will gather at Canterbury’s largest biennial trade show next month to review the latest industry innovations and gain essential knowledge from world leaders. 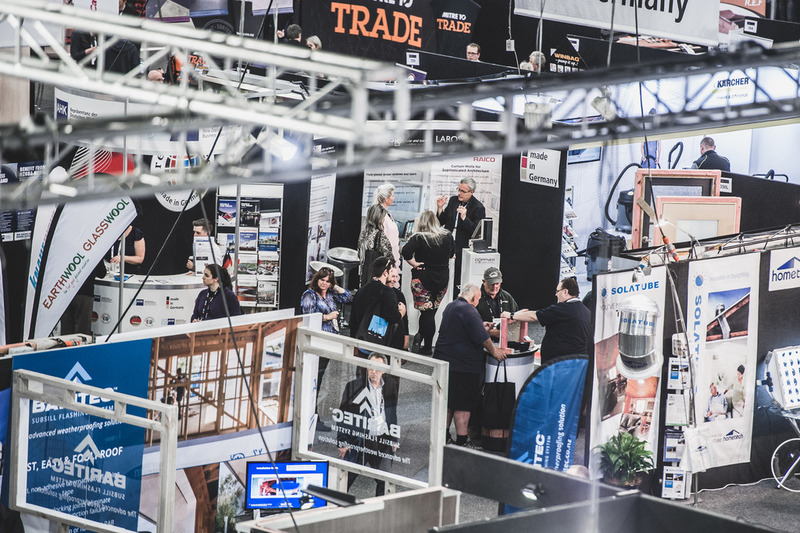 The award winning Canterbury buildnz | designex trade show is at Horncastle Arena from August 4 to 6 and will be opened by Canterbury Employers Chamber of Commerce chief executive Peter Townsend. Show organiser XPO event director Tony Waite says the trade-only show is significant for Canterbury and the industries involved, with construction activity in the region valued at more than $100 million a week for years to come. “The benefits of this event will help grow the Canterbury economy and support the rebuild by facilitating the sharing of exceptional concepts, tools, technology and world leading innovations. “The rebuild reaches its half way point this year so it is important that professionals in the building, construction and design industries are given opportunities to share innovations and help maintain high safety and design standards. “We will have a range of professionals at the event including commercial and residential builders and developers, architects, plumbers, specifiers, hardware manufacturers and engineers. There is a wealth of knowledge in the Canterbury region and this event gives trades people the chance to assess new suppliers but also to collaborate about important issues such as skills shortages, consent processes and cost efficiencies. Trades professionals will hear inspirational New Zealander and architect Professor Mark Burry share his world leading insights into the historical and cultural implications of architecture, putting theory into practice when it comes to challenging architecture and how this relates to the Canterbury rebuild. Christchurch-born Burry has been executive architect and researcher to the Sagrada Família Basilica Foundation in Spain since 1979 and is recognised as being instrumental to the project by collaborating from Melbourne with colleagues based on-site in Barcelona. New technologies are also an important feature with companies such as Auckland’s Sage Doors showcasing scratch resistant and seamless cabinetry doors and Christchurch’s Tradeworx demonstrating the power of real time project information via cloud based solutions. Site Safe will be available to help ensure small and large businesses have a good understanding of the new Health and Safety at Work Act introduced this year and how it impacts them. The event has only run once before in Canterbury winning Best NZ Show (consumer and trade) and Best New Trade Show in Australasia at the Exhibition and Events Association of Australasia (EEAA) Awards and was recognised as the perfect concept for a city facing enormous challenges. Leading industry organisations including Ministry of Business Innovation and Employment, Registered Master Builders and Certified Builders and Building Research Association of New Zealand are supporting the event.